Hengistbury Head visitor centre will be hosting a free presentation on the 3rd February, 19:00-20:30, showcasing the diverse marine life within Poole Bay. This event will display footage collected through Baited Remote Underwater Video (BRUV) surveys conducted over the past 3 years. The presentation will also discuss the impacts artificial structures such as coastal defences (seawalls, groynes, breakwaters) can have on marine life and showcase ways in which we can improve the habitats provided for marine life on artificial structures. PhD researcher Alice Hall from Bournemouth University who studies the ecology and enhancement of artificial structures. 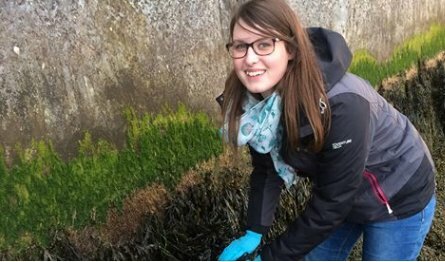 She has spent the last 3 years researching the marine life associated with artificial structures on the south coast of England and will be showcasing some of her work at the presentation. Booking is essential – please call 01202 451618 to reserve your place.